Due to the good mechanical properties of forged parts, the forging process plays a decisive role in the manufacturing of seamless stainless steel pipes for oil country tubular goods (OCTG) lines. Tough competition between manufacturers gives them plenty of incentive to make their processes in raw material and energy usage more and more efficient. In this context the expansion process is one of the critical production steps in the manufacturing of seamless stainless steel pipes. 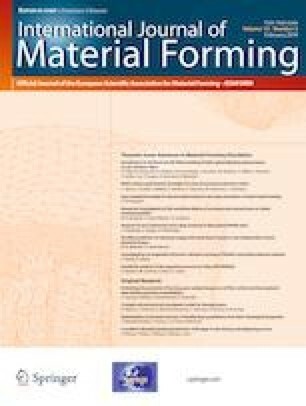 This work presents a sensitivity analysis of a finite element method (FEM) for the simulation of the expansion of the alloy UNS N08028. The input parameters ram speed, tool angle, initial ID and final ID of the billet as well as temperature were used to describe responses like tool wear and material loss. With the aim to minimize the tool wear and to reduce the material waste, a study of influence of the input parameters on the mentioned responses were performed. This development is supported by experimental work in order to validate the simulation model. The sector demand for new materials with specific properties and the cost-intensive experimental trials justifies the use of such simulation tools and opens great opportunities for the industry. This work was supported by Tubacex Group. The author gratefully acknowledge the financial support from Tubacex Group.